Is your loved one receiving the best care? Are you frustrated by the fragmented health care you receive, your reliance on 911 and hospitals, and just the strains of caregiving? You can get relief. There is a way to manage the chronic pain and other symptoms. That relief is spelled P.A.L.L.I.A.T.I.V.E. Palliative care is specialized medical care for people with serious illness. It focuses on providing relief from the symptoms and stress that your loved one and you suffer. My guest on this edition of Toula’s Tips knows all about palliative care. 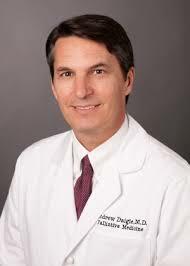 Dr. Andrew Daigle is a Palliative Medicine Specialist with Baptist Health System. He also is the Vice President and Chief Medical Director for Community Palliative Consultants, a program of Community Hospice of Northeast Florida. Dr. Daigle will explain how palliative care can help your loved one and support you with your caregiving duties.